Slides never go out of fashion and are a staple item in any play area. Steps provide stability and easy access for younger children, while older ones can climb up the ladder. 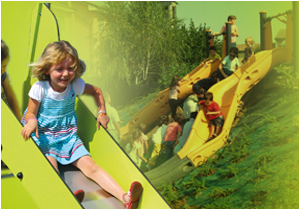 Slides are available in different heights and lengths, providing a variety of speed options for different age groups.